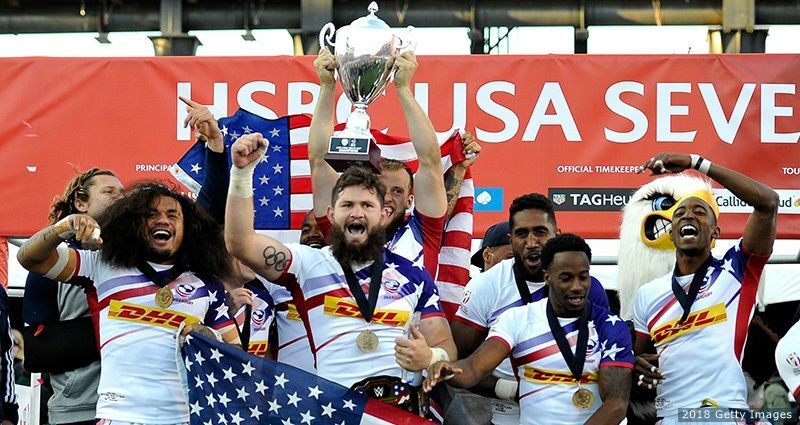 If you’re like us, rugby 7s season begins in the Spring with a trip to Las Vegas for the American leg of the HSBC World Rugby Sevens Series. But it is the Women’s Eagles who will kick off the 2019 series in just a few months on October 20-21, 2018. The full schedule for the series is listed below. In the championship match of the High School Boys Elite bracket, Mystical Canucks and Iowa Hawks played a tight match with little to separate the two teams. In the end, Mystical Canucks won the contest 21-12. In the championship match of the Women’s Open A bracket, Sabres and Wisconsin Women’s RFC battled through an epic, nail-biting final. A single unconverted try gave WWRFC the edge in the match and ultimately the championship. In the championship match of the Men’s Competitive bracket MRFC dominated both territory and possession to keep the Blues at bay. With few errors and constant pressure on defense, MRFC controlled all phases of the match. At the whistle, MRFC took the championship with a final score of 27-0. After a few weeks of recovery from the Lakefront 7s, we’re finally able to dedicate some time to posting 7s updates from around the state and around the region. July is the busiest month for 7s, and there’s a lot to cover so we’ll jump right in. 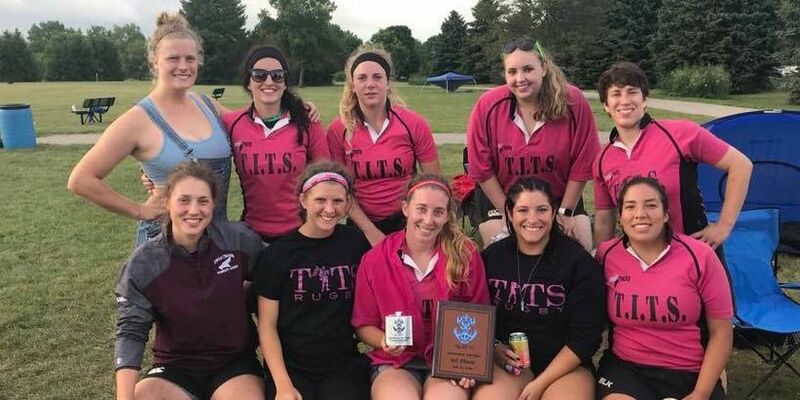 The first Saturday in July featured the Legacy 7s Midwest qualifier in Brighton, MI and the final sevens event in Wisconsin, the Lionhunter 7s in Oconomowoc. Metropolis took top men’s honors at Legacy 7s with the Lions winning the Women’s bracket. On the men’s side, Wisconsin Rugby Club defeated Milwaukee RFC 26-17. T.T.T.S Rugby won the women’s bracket, but we were unable to confirm the score nor the opponent in the final (please drop us a note if you know this information). 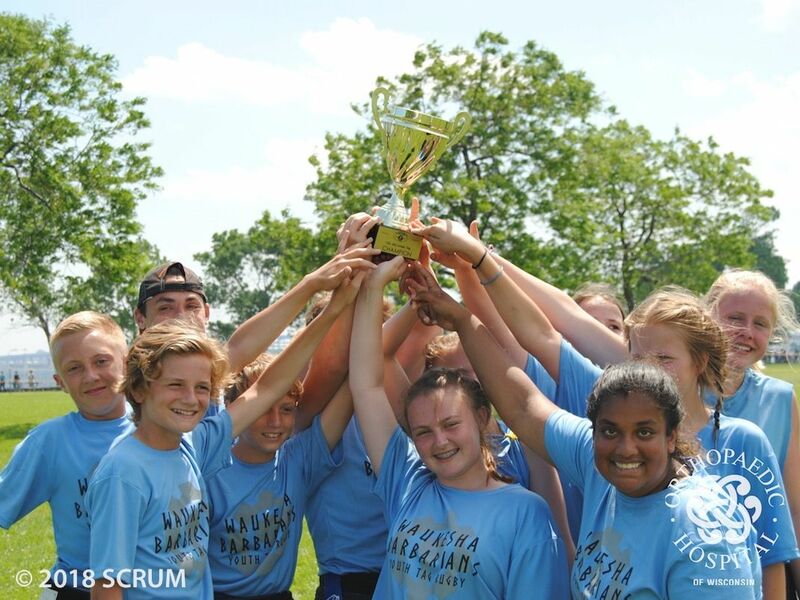 At the 2018 Lakefront 7s, Waukesha defeated Green Bay to take the top tag-rugby championship in the 7th-8th grade bracket (see full results below). The win earned Waukesha their second trophy of the day: they also captured first place in the 1st-2nd grade bracket. Fond du Lac also won 2 championship trophies at the 2018 Lakefront 7s in the 3rd-4th and 5th-6th grade brackets. In the 5th-6th championship match, Fond du Lac defeated Oshkosh in thrilling fashion. Tied after the regular-time had expired, it took 7 overtimes to declare a winner with Fond du Lac coming out ahead 11-10. 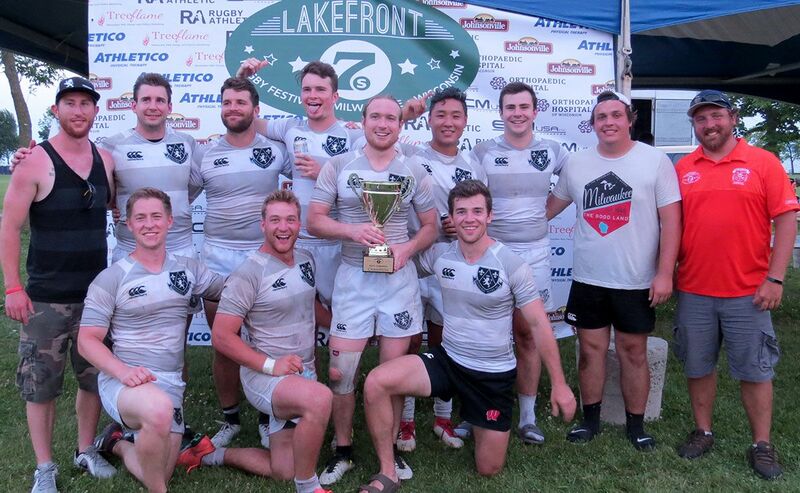 Highlights of the 2018 Lakefront 7s. Following their rugby festival, the Lakefront 7s has donated nearly 1 tonne of non-perishable food items such as peanut butter and dried noodles to the Hunger Task Force, a Milwaukee-based non-profit and Wisconsin’s leading anti-hunger organization. “Nine hundred and fifty-five pounds is a record for us. Although we narrowly missed our 1000-pound goal, we collected 44% more food than last year!”, said food drive coordinator Kurt Kinderfather. 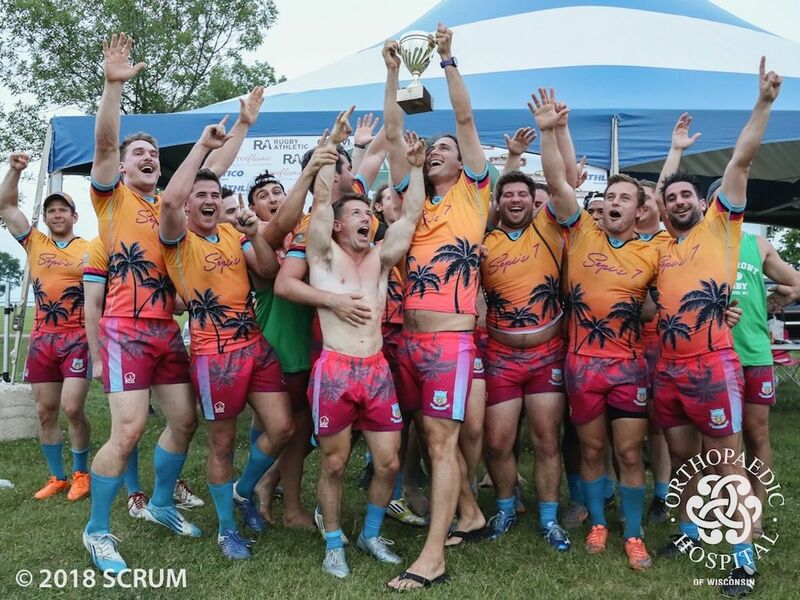 Heading into the 2018 Lakefront 7s, Milwaukee RFC held the record for the most championships in the modern era with four trophies since 2009. This past weekend they extended their record to five. The day started well for MRFC with a 38-7 victory over Wisconsin Rugby Club (Madison, WI) in the first match of Pool A in the Men’s Competitive bracket. But they hit a bump in the road in their next match versus the Blues (Kansas City, MO) who won handily 24-7. The loss made the 3rd pool match for MRFC a crucial one. Not only would they have to win the match but they would also need a huge point differential to win the necessary 4th-seed tie-break in a 12-team bracket. MRFC took this seriously with a well-deserved and comprehensive 54-7 win versus Des Moines (IA). The 47-point differential was just 3 points better than the next team with a 2-1 record (the Milwaukee Barbarians). After narrowly making the playoff bracket, MRFC met the Heathens, a traveling side from Iowa. Having found their rhythm, MRFC continued to dominate and secured their first shut-out of the day with a 33-0 win. In the other semi-final, the Blues met the Gazelles (Grand Rapids, MI) and racked 54-0 shut-out of their own to set up a pool-stage rematch versus MRFC.